Sepp Blatter, the President of football’s world governing body, FIFA, has admitted that the Qatar World Cup in 2022 will probably be held in the winter months. All previous World Cups in countries as diverse as Mexico, South Africa, Japan and England have been held in the summer. But the weather in Qatar is particularly problematic with temperatures reaching 50C regularly. Indeed, a FIFA technical report commented that the heat would be so intense, despite Qatar’s best efforts to showcase their air-conditioned stadium technology, that it posed a ‘health risk’ to players and fans. Shifting the world footballing calendar to have a World Cup in the winter will be a logistical nightmare. Though some European leagues (Germany and Italy) have winter breaks, England, for example, does not. Indeed, there is a grand and long-loved tradition of winter football in the UK, including Boxing Day (26th December) and New Year games. Forcing England to get rid of this tradition will not be appreciated. Making such a change reinforces the feelings of many that FIFA has consistently [no pun intended] shifted the goalposts on bidding nations. The England bid team feels strongly that had they known that FIFA’s remit for the World Cups was to give them to ‘new’ footballing nations (Russia and Qatar) then they would not have bothered to spend the £10 million on bidding. Similarly, what is the point of a technical bid if it is simply going to be ignored? Qatar and Russia undoubtedly faired worst in their respective groups in these reports yet both won. 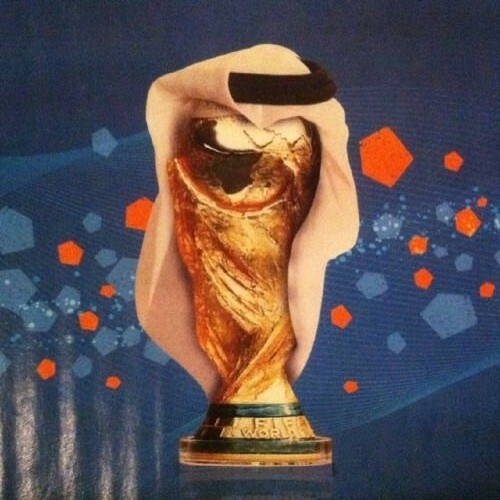 The underlying feeling (certainly not just in England) that the World Cup was decided upon a long time before the actual voting and not necessarily for strict footballing reasons is amplified by this whole-sale change to the timings of Qatar’s World Cup. The World Cup in South Africa was held during the winter time. The World Cup in Brazil is being held during the winter time.